City host the Reds in the second leg of their Champions League quarter-final tonight facing a monumental task to overhaul a 3-0 aggregate deficit following last week's humbling at Anfield. That loss on Merseyside was followed by a surprising Manchester derby capitulation, with the Premier League leaders surrendering a 2-0 lead to lose 3-2 to United on Saturday, but Guardiola continues to back his players. Guardiola said: "I know I will be judged on results but the performances - my team is extraordinary. My team is not comparable to many others. It is top. My team is exceptional. "I will be close to them no matter what happens here until the end of the season. It is a joy to be manager of that team, even two days ago, after the way we played. I am so delighted. "Of course to go through you have to make almost the perfect game, to create a lot of chances, be clinical, concede few chances. And the chances we are going to (face), our keeper needs to save them. All the conditions have to be perfect to go through. "But we cannot forget it is a simple game - just focus on every single minute. That is the best way to play. If we concede a goal, don't give up." Whatever the outcome, Guardiola believes the tie will prove a good experience for his team. He said: "If we are not able to do it, psychologically, it will be a good lesson for the future. We are not here for just a few months. We're here for a long period, especially the players. "But we are going to see, it's a good test. Football is a challenge like life, we are happy to handle it." Guardiola is not expecting any repeat of the crowd trouble which saw the City team bus attacked by Liverpool fans ahead of the first leg. 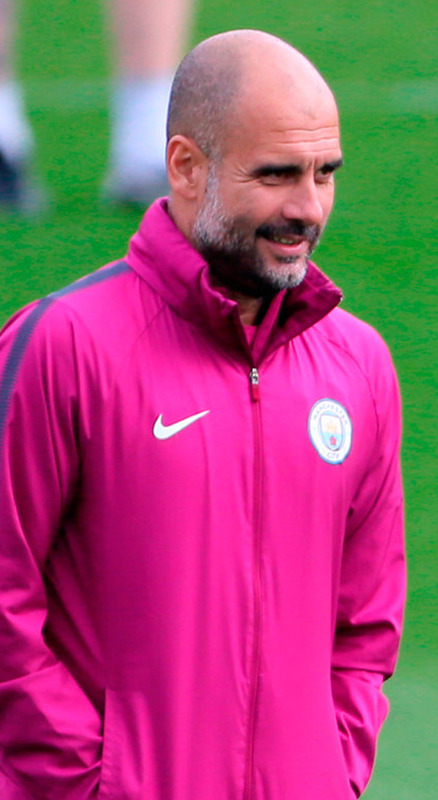 Asked if he was worried about City fans potentially seeking revenge, Guardiola said: "Since I have been here it has never happened in the Etihad Stadium. People and opponents arrive in the bus in the right way. "It is not going to happen. I think the police will know exactly what they have to do."